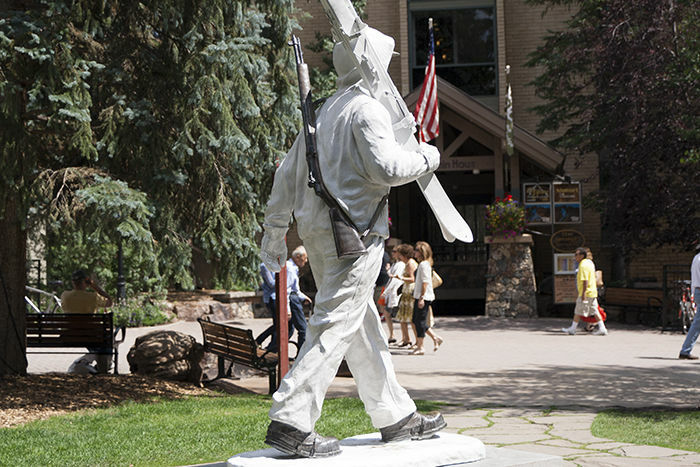 The 10th Mountain Division statue in Vail. Originally appeared in EnCompass magazine. It is late summer in Vail. There’s not a snowflake in sight. Yet I spot a skier dressed in white, his skis slung over his shoulder, his goggles in place. Some passersby pose for pictures under his larger-than-life shadow, but most take no notice of this determined giant. He is, of course, the 13-foot-tall bronze statue near the covered bridge in Vail Village, memorializing in the U.S. Army’s fabled 10th Mountain Division. Trained in Colorado’s mountains, these soldiers entered battle in February 1945 in the Italian Alps against Axis enemy forces. Books and movies capture the drama and heroism of the division, but what remains of the 10th’s legacy today? And what can you still see and feel? A road trip to the high country illuminates the past. Too often I’ve driven Interstate 70 and failed to appreciate the complexity of this engineering feat. Yet it is easy to forget when ski traffic clogs the roadway, particularly when the weather turns dire. That is less of a problem in summer. On my way to Vail, I count at least two commemorative 10th Mountain license plates. This is the first sign that the “invisible men in white” haven’t been entirely forgotten. Before World War II, adventurers who wanted to slide down the mountains purely for fun spent their summers clearing trails and their winters dodging avalanches. The earliest ski races go back to the late 1800s. While ski clubs were popping up all over, the enthusiasm was there, but the technology had some catching up to do. And the roads, well, they could be treacherous. When WWII broke out, defense experts recognized that the United States was ill-prepared for combat against Nazi Germany’s mountain-trained troops. The hardening of U.S. troops began on Mount Rainier in Washington, but then the Army established a permanent base in Colorado and recruited skiers, especially those in the Northeast. One recruit, 19-year-old Sandy Treat Sr., had competed on Dartmouth College’s renowned ski team and saw a recruiting message on a bulletin board. After some initial training, he boarded a train for Denver. When Treat saw the white peaks, he thought to himself, “This is going to be great.” Still physically active, he’s one of the dwindling number of surviving 10th Mountain Division veterans. For many troops, the training at Camp Hale would forever connect them to Colorado. Some veterans survived near-mortal wounds and, with the market flush with Army surplus ski gear, returned to create resorts like Arapahoe Basin, featuring skiing above tree line. They helped convert Aspen into a European-inspired skiing community, which would set the standard for other former mining towns. They also created ski programs for children and amputees. The late Peter W. Seibert cofounded Vail Ski Resort in the 1960s, while other veterans started shops, restaurants and lodges. John Tweedy purchased the land that now represents the heart of Vail Village. Bob Parker became a ski industry journalist and later on, as Vail Associates’ marketing guru, used his connections to highlight Vail’s pristine conditions. 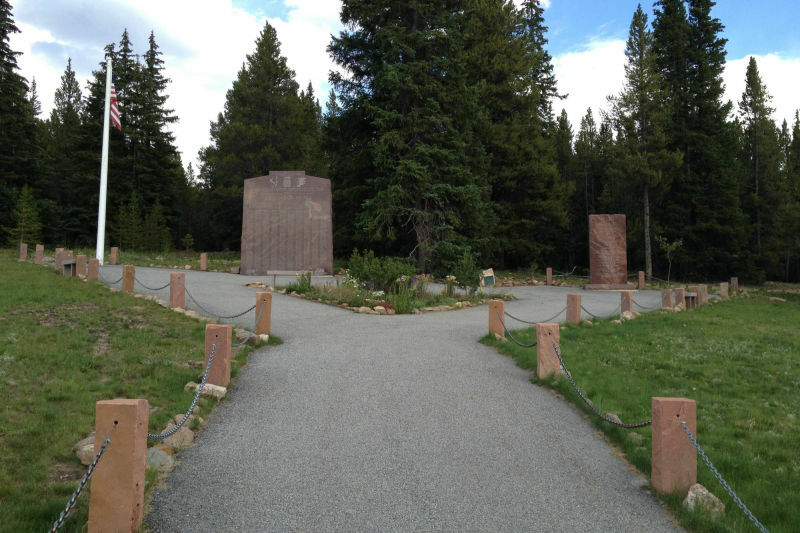 10th Mountain Division veteran Sandy Treat Sr.
About 25 miles from Vail, along southbound Highway 24 (now the 10th Mountain Division Memorial Highway), are the remains of Camp Hale where Treat landed. It sits at 9,200 feet in the tranquil Pando Valley, where the Eagle River meanders through forestland. It was chosen because of the heavy snow on nearby Tennessee Pass and for its proximity to drinking water, coal and other resources. The camp was hastily constructed in 1942 and featured some 400 buildings. Treat remembers the commotion of men skiing, shooting and doing calisthenics. Thanks to his racing record, Treat became a military ski instructor. More than 14,000 men became some of the world’s toughest soldiers, carrying 90-pound packs and skiing 25 miles a day in the dead of winter. Troops learned that following harder routes was often the best course for avoiding enemy interception. If things weren’t difficult enough, they had to do the exhaustive work of hiding their own tracks. To get a sense for the place, I camp at Camp Hale Memorial Campground on a Labor Day weekend. And although it’s full, the valley remains quiet with only an occasional hum coming from the highway. This expansive canvas reminds me of Civil War battlefields in the Southeast where an imagination is required to resurrect all the drama from the past. Nightly temperatures drop to 30 degrees, cold enough to send some unprepared campers running for their cars. Troops of the 10th, meanwhile, had to camp out in the open with faulty equipment in temperatures as low as 40 below zero. At one point my campsite gets flanked by two veterans of the modern 10th Mountain Division, which was reactivated in 1985 and headquartered at Fort Drum, N.Y., as a light infantry unit. They pay homage to their forebears and do just fine in the cold. 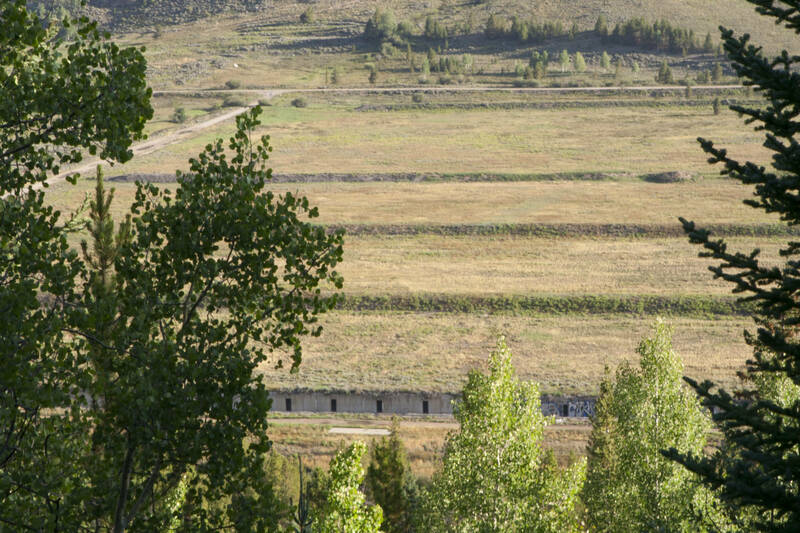 The Army dismantled the Camp Hale training ground in the mid-1960s, leaving the foundations of a field house and a firing range to crumble. Informative panels offer visitors a short history of the place and warn of dangerous artifacts. Government agencies and private contractors continually scour the valley looking for and disarming munitions. With frost dripping from the tent, I’m itching to get on my mountain bike and explore the valley under morning sun. And this is when I realize just how big it is. You can spend hours tearing around on the gravel and dirt roads. In some ways, things haven’t changed much in six decades. Winter calls snowmobilers to a place where military personnel once tested snow machines. In summer, off-road enthusiasts drive the old jeep roads. Across the valley from the campground, rock climbers scale the same cliffs where the 10th did its early training. 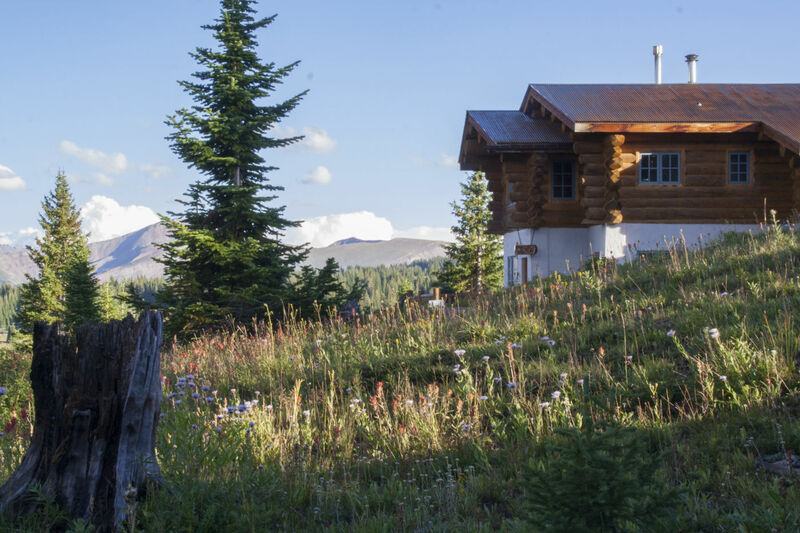 The valley also serves as a gateway to several of the 34 backcountry huts that were created in honor of the 10th to provide shelter for modern hikers, mountain bikers and skiers. But it’s a workout to get to those huts. The trails are steep and covered with loose rocks, especially the extreme four-wheel-drive trails. When it gets hard, I channel the 10th’s toughness and simply march on. One of the more beautiful settings is Shrine Mountain Inn, a group of three cabins, which is a short drive from the rest area on Vail Pass. Four-wheel-drive trails lead down to the Pando Valley. A section of the Colorado Trail, a popular 486-mile hiking and mountain biking route, now runs through the valley. 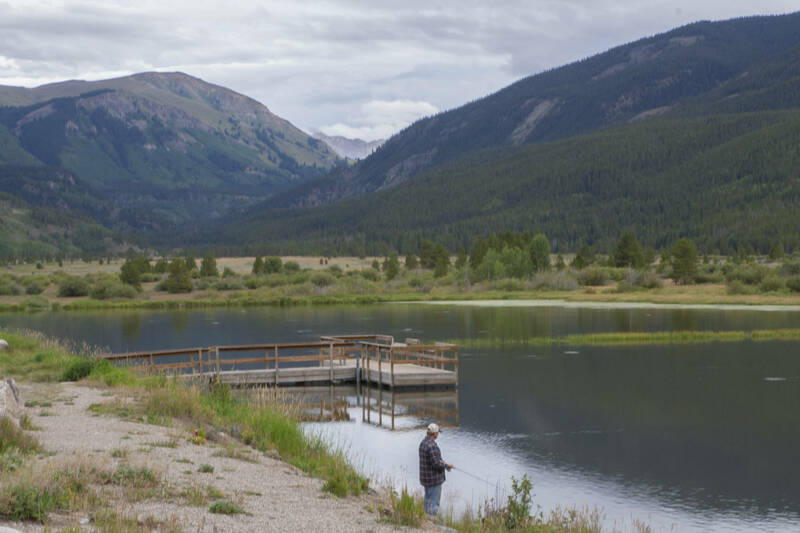 A six-mile leg to the northeast leads to 12,000-foot Kokomo Pass. The first bit is deceptively easy, as it meanders through the forest and crosses a stream under a small waterfall. Then it starts to steepen and that’s when the 2,700-foot climb becomes unrelenting. Oddly enough for a holiday weekend, I don’t see any other mountain bikers, only a tread pattern here and there. I do see a couple of hikers with heavy packs moving at a good clip. When campground host Ken Lamarre was first offered the Camp Hale post, he was skeptical, thinking there wasn’t much to see out here. Then he started reading all the books about the 10th, tapped into a network of historians — including the Denver Public Library, which houses the 10th’s mammoth archives — and became fascinated. He’s a testament to the fact that the 10th still has a following. The most recent movie about the ski troops came out in 2013. Climb to Glory was produced by Warren Miller Entertainment and features Siebert’s grandson, Tony, among two other elite skiers who try out the 10th’s antique equipment on the slopes of Camp Hale. They tumble, for the most part, and come away with a lot of respect for anyone who could maneuver the long white skis. Unfortunately, after filming was completed, Tony died in an avalanche near Vail. 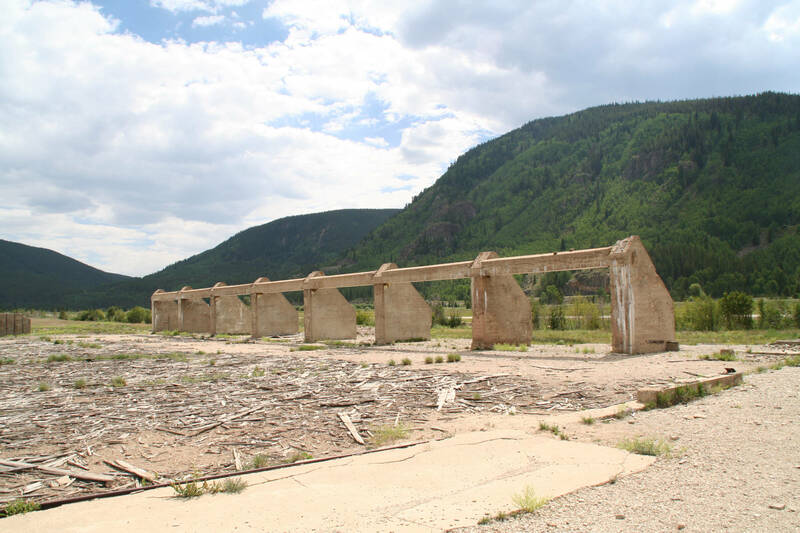 Lamarre, meanwhile, is happy to educate Camp Hale visitors, such as pointing out the subtle remains of the 10th’s ski lift towers, some of which are within the campground’s perimeter. Besides training ski troops, Camp Hale housed German POWs during World War II and, two decades later, the Central Intelligence Agency reportedly used it to train Tibetan guerillas to operate in terrain similar to the Himalayas during tensions with China. Lamarre says he met a POW’s son as well as a Tibetan man when they made recent pilgrimages to Camp Hale. Now he’s studying up on the valley before the war as he stops periodically to admire its shifting colors. Despite its odd history, the beauty can’t be ignored. “I came here and fell in love with it. This is my kind of place,” he says. A 10th Mountain Division hut near Vail. The Colorado Trail continues to the southwest and goes by the old firing range at Camp Hale and snakes its way through a pine forest on the 10th’s initial ski-training hill. For bikers, the first bit is strewn with rocks and tree roots and is moderately difficult. If you’d prefer to drive or road bike, continue heading south along Highway 24 to Tennessee Pass. The roads are open year-round. The 10th’s official memorial comes as a nice reward after I pedal upward for six miles and 1,000 vertical feet. There are views of Cooper Hill (now Ski Cooper) where troops did advanced ski training. Interpretive signs by the parking lot capture the 10th’s exploits, such as scaling Italy’s Riva Ridge — once thought impossible — and breaking through the German line. The names of nearly 1,000 fallen soldiers are inscribed on a wall. Visitors leave flowers and American flags. Back at Vail, tourists from around the world stop by the Colorado Ski & Snowboard Museum. A gallery there is dedicated to the 10th and displays old-fashioned ski and mountaineering equipment. Every Friday at 3 p.m. throughout the year, Treat gives talks to visitors about his own experiences in honor of fallen troops. After the war, Treat spent his career as a successful executive for an aluminum corporation. He lived in Canada, South America and Central America, but it was the Vail area where he wanted to retire. Like many of the men he served with, there was this unbreakable bond with Colorado. 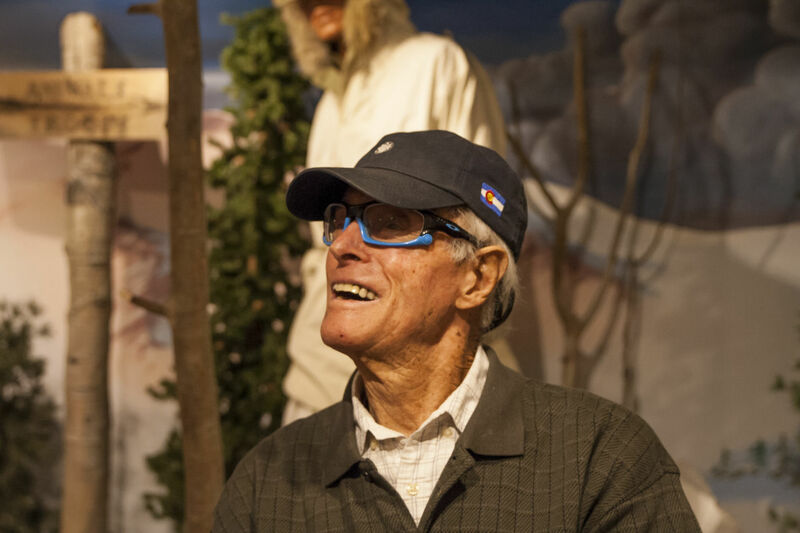 Still standing perfectly straight in his 90s, Treat participated in some 400 ski races before a bad fall during a race damaged his vision and ended his career at the age of 86. Considering his eight decades of skiing, his doctor said that he’d “had a good run” and suggested he take up something less dangerous like golf. Nowadays he seems most comfortable in Jeans and North Face trail running shoes. And so the visitors flow into the museum. “My father served in the 10th,” is one of the more common phrases the staff hears. On one particular Friday, Christie Maurais of Boulder donates her father’s uniform and meets Treat. She remarks about her late father’s slim body in those days. “We were skinny, too, from climbing up those damn mountains,” Treat jokes. Vail’s longest ski run is named Riva Ridge after that mighty precipice from the war. For many skiers, the trail marks their last run of the day or the end of their vacations as they commute back to the main ski lodges. As for Treat, he only wishes he could still be up there, racing down the mountain. Originally appeared in EnCompass magazine. Photos by Nate Ferguson.